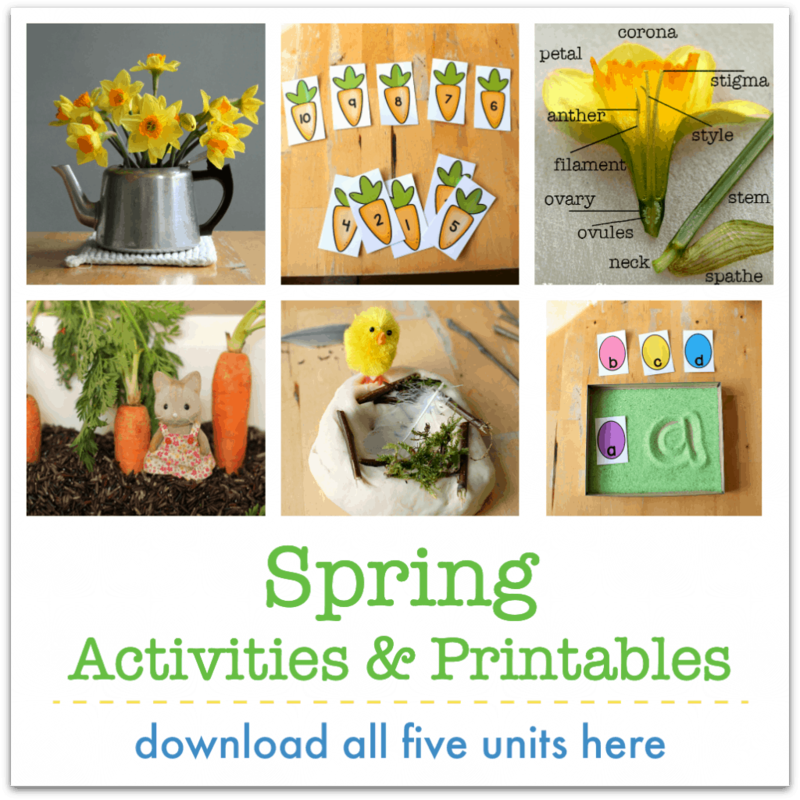 What’s the perfect art material for some Easter art? Carrots of course! The children have been experimenting with different ways to make their mark with them this week. 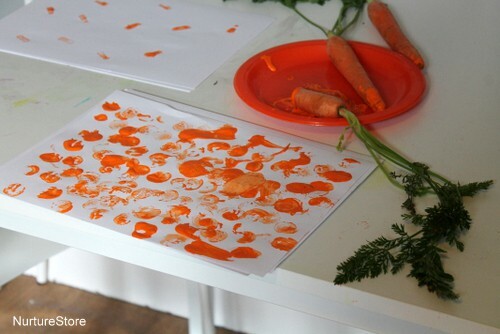 We set out some plates with orange and white paint, dipped in our carrots and tried some painting. 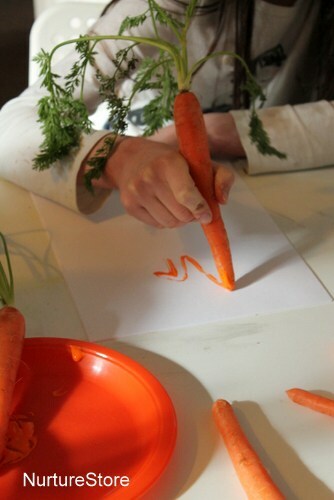 They discovered they could write their names with carrots too. We cut off the ends from a few of the carrots, and they tried some printing – creating pages full of stamps, with lots of lovely paint texture. Then one of them realised you could cut out shapes from the sides of the carrots to make all sorts of different stamps. and stamped out bunny rabbit shapes. 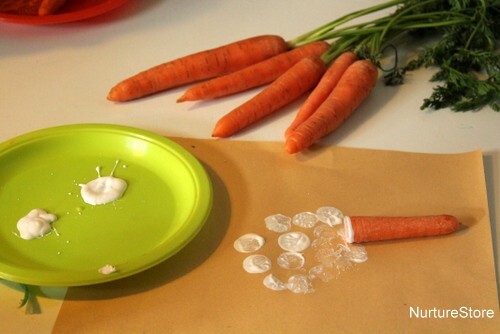 Have you ever tried painting with carrots? Lately LO is completely UNinterested in ANY “learning” crafts I have tried to set up with her ;( Makes for a very discouraged mom lol! But, Cathy as usual, I think youve saved me with this clever creative activity! Just received a huge bag of carrots for us from locals that I couldnt say no to, though knowing we wouldnt eat ALL of them. This is certainly one way you make good use of them in our home. Thank You so much for continuing to inspire moms everywhere 😀 Happy Weekend! Oh, you have to give it a try then, Jeanine. 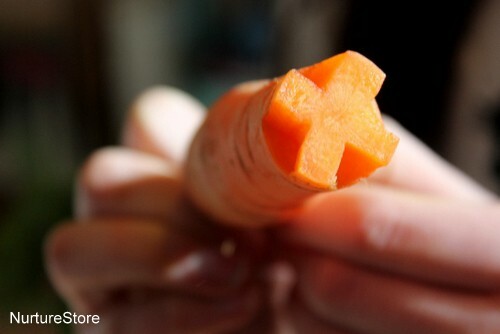 The universe is conspiring to tell you to use the carrots!! 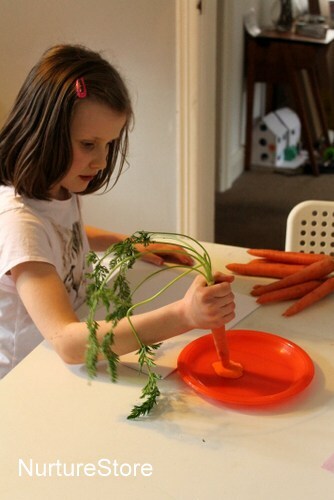 We are doing a few other things with carrots this week in our gardening unit. 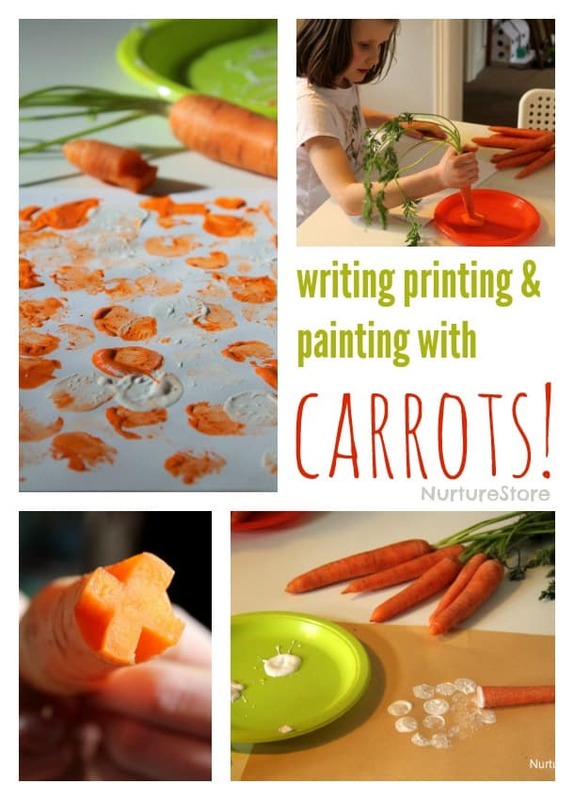 writing, painting and printing with carrots will make a great addition! I’ll be sharing this on my website and social media sites too. Thank you!